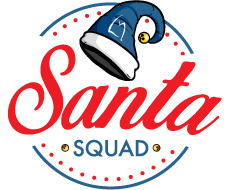 News from LMCU: Santa Squad set to launch! Santa Squad set to launch! Look for those LMCU-blue Santa hats. That’s your sign that significant holiday cheer is being spread about during the month of December! Our seriously gleeful LMCU staffers will be delivering glad tidings across Michigan. Check out LMCU’s Facebook and Twitter pages to follow the Blue Santa Hat as LMCU gives back to community causes.